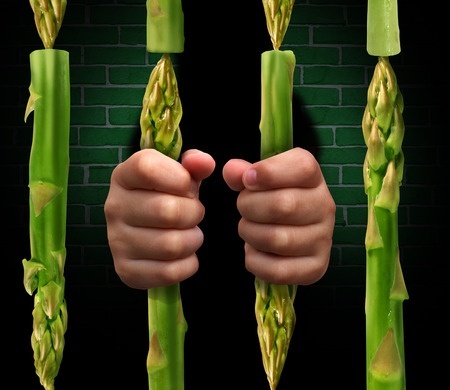 Are you Imprisoned by Food? FREE YOURSELF! If what you’ve had to eat today, how many calories or how many points you’ve consumed already and how many you have left is what you are thinking of MOST of the time.. LISTEN UP!! IS THIS WHAT YOU WANT TO BE THINKING OF? IS FREEDOM WHAT YOU ARE REALLY AFTER? I can’t emphasize enough how much you don’t have to be consumed by food. ..ha..get it? 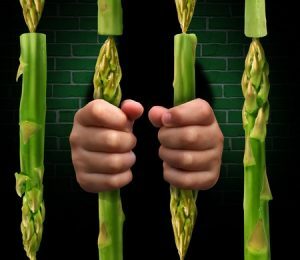 FOOD IS EATING YOU! SHOULDN’T IT BE THE OTHER WAY AROUND? Food is nourishment to keep our physical bodies running so that we can continue to carry out our very special individual missions on this planet. If you don’t take control of what your mind is thinking of, your mission might go missin’! You don’t have much time here! Less if you are unhealthy! Food should not be the highlight (or lowlight-once we’re mad at ourselves for eating too much) of our days!! My heart goes out to you because it used to be the highlight and lowlight of all my days. And it’s really sad! Like I feel like crying a little bit right now for all of you guys who are stuck in this place. AND IF YOU’RE SICK OF BEING THERE, LIKE REALLY SICK OF IT. I have your ticket out of jail. It takes time, It takes digging deep, and It takes investing in yourself. But isn’t your life worth it? Isn’t your decreased level of stress and anxiety worth it? Isn’t expanding yourself to think of bigger and better things worth it? I think KNOW you are. Contact me below. For the sake of YOU and YOUR MISSION.